Norse Hall was built and dedicated in 1928 by Norwegian immigrants, members of Grieg Lodge, and has served the Lodge and the community as a home and cultural center ever since. 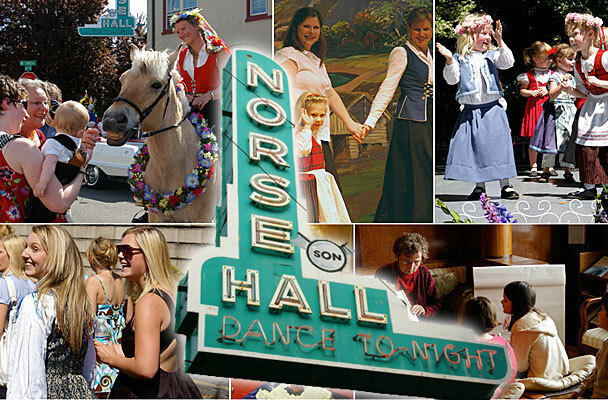 Located just across the Willamette River from the city’s downtown core in the vibrant Lower East Burnside neighborhood, Norse Hall is among the last remaining original ‘ethnic halls’ in Portland. It features one of the finest ballrooms in town, a large stage, two dining rooms and kitchens, spacious meeting room, beautiful library, Nordic arts showcase and comfortable lounge. The building was designed by well-known Portland architect Elmer Feig, and covers a quarter of a city block at 111 N.E. 11th & Couch Street. It is available for use by the community on a private basis.